No matter where you go, you’re bound to find some form of puzzle, whether it’s a riddle, a mechanical puzzle, a pen-and-paper puzzle, or a strategy game. For me, that’s one of the most interesting aspects of puzzle culture: the curious wrinkles and variations on puzzles that a particular place or national identity inspires. While on vacation in Alaska last week, I found a few examples of puzzles with a wonderful Alaskan twist, and I thought I’d share them with the PuzzleNation audience. One of the first things I noticed is that many Alaskan museums and wildlife centers employ puzzles to teach visitors about Alaska’s diverse ecosystem. The Alaska Sealife Center was a particular favorite of mine. 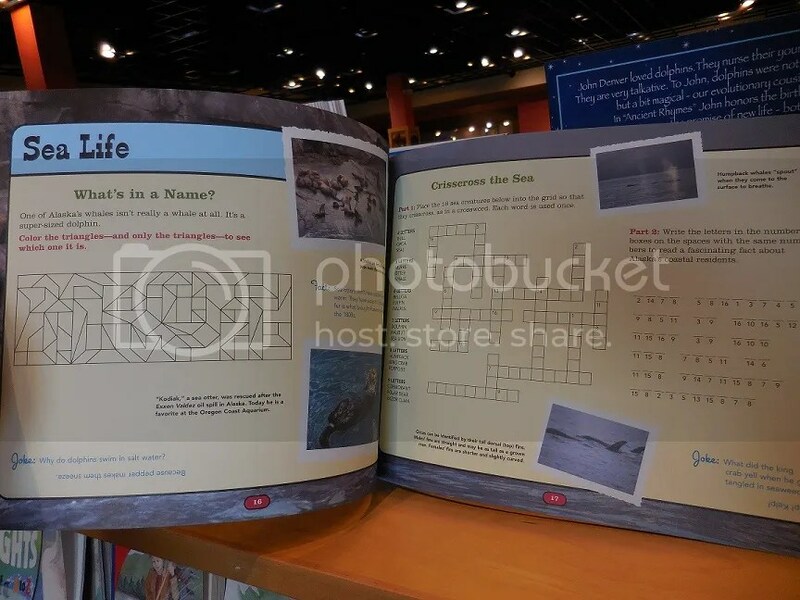 Located in Seward (only a few hours from Anchorage by train or car), the Sealife Center not only incorporated games to explain different fishing techniques (and the dangers of overfishing), but the gift shop was a treasure trove of puzzle books with a decidedly educational bent. 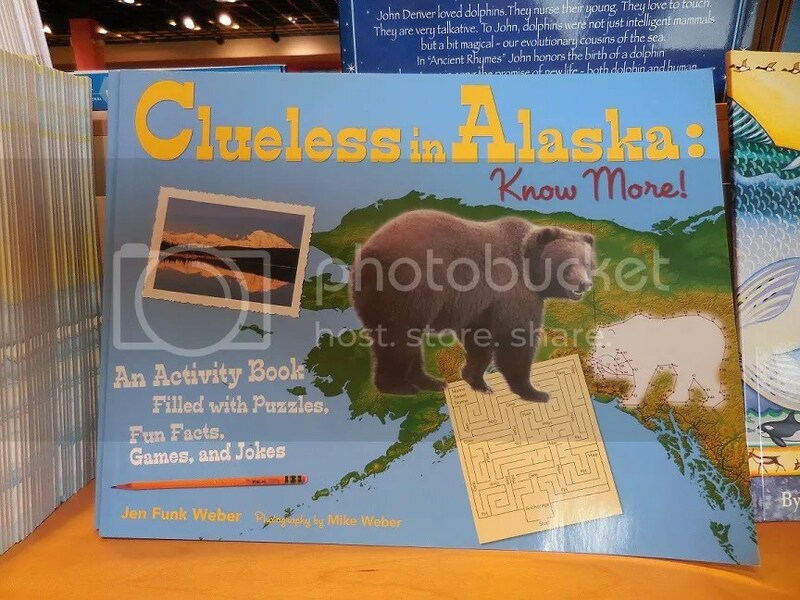 Clueless in Alaska caught my eye with its mix of visual and classic pen-and-paper puzzles, all geared toward instilling greater understanding of the animals Alaska is famous for. Of course, I encountered crosswords and Sudoku puzzles in the local paper, but I was on the lookout for something with a bit more local flair. 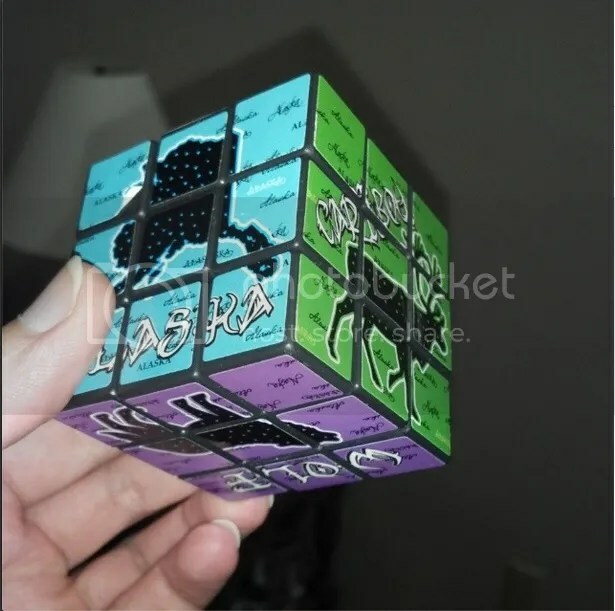 An Alaska-themed Rubik’s Cube, featuring both a unique color scheme and silhouettes of bears, caribou, eagles, moose, and wolves. With the 40th anniversary of the Rubik’s Cube this year, how could I not pick this up? 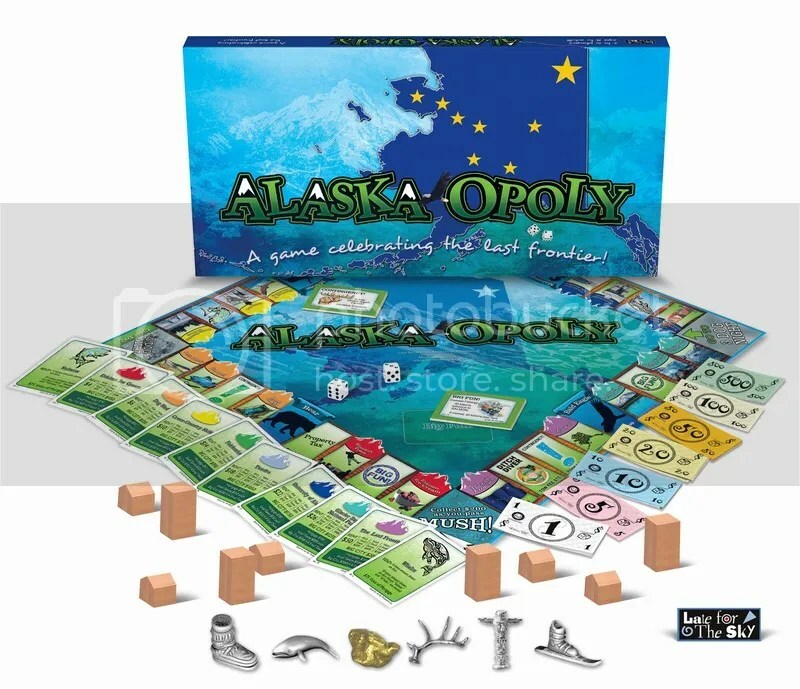 Alaska-Opoly! It might be hard to pronounce, but it’s overflowing with local color and style. As a puzzle fan, spotting these little beauties made me feel right at home, even four thousand miles away.